Tuesday I shipped the Hawke Nite Eye scope with additional 3 inch sunshade and cantilevered scope mount to TTI. I received an email this morning from Mark at Teludyne saying that the package had arrived. Looks like the post office and Priority Mail did it’s job. Can’t wait to see the rifle with it’s new Straight Jacket sporting this new scope, I gave them permission to fire the rifle if they wanted to do some tests with it. Looking forward to the photos of the build and final product. Back from vacation and I brought presents! Well I’ve just returned after a whirlwind tour of the northwest part of the US on a hunt for a cool Mosin Nagant. While my quest yielded one rifle I wanted the sales staff at Cabela’s Post Falls refused to sell it to me. 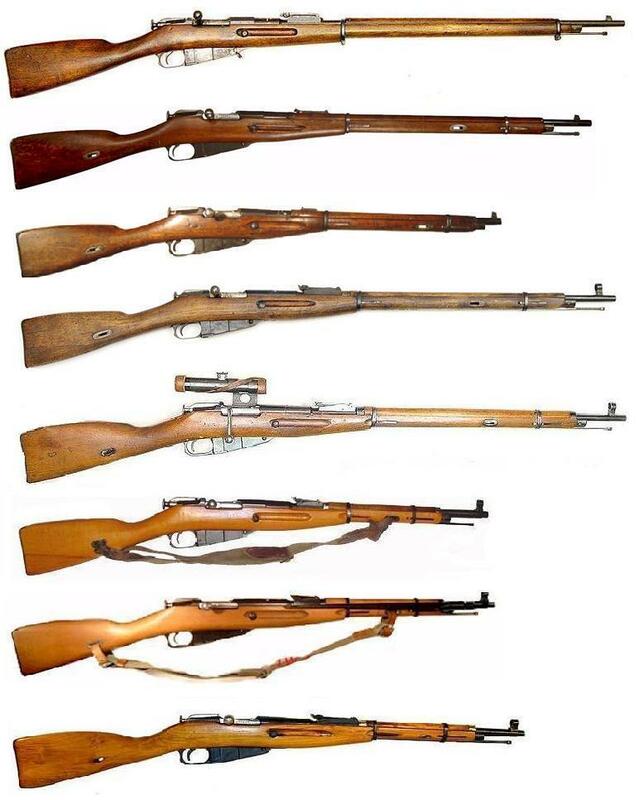 They stated that Mosin Nagant’s were not legal to ship into CA. And after about an hour of trying to convince the sales staff that it was legal and I actually already had purchased rifles and had them shipped to me in CA, I left frustrated and empty handed. To bad for them too because I ended up spending money at there competitors, and a lot of it! I called Cabela’s on my return to get their take on the matter and so far the silence is deafening from there customer service dept. Unfortunately none of the other stores I shopped at had any Mosin’s of interest. I went into a Big 5 in Spokane and they had one Mosin in the rack, I asked if I could see the rifle, the clerk handed me the firearm and the bolt was frozen solid. I mean it would not move no matter what. So I said do you have any more in the back? The clerk replied yes but I can’t bring them out until we sell this one. Note to clerk, your not selling that one anytime soon. Then I hit up a very cool store in Spokane called “White Elephant” Now don’t let the name deceive you, this is an awesome place. 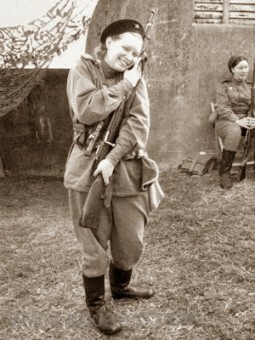 They did have a Lammy stocked Mosin but I don’t buy electo penciled guns, there was nothing wrong with it but 139.00 for a electro matched is way to high. BUT all was not lost, in the reloading section I found a complete set of Lee 7.62X54R dies for 26.99! Went to several Pawn Shops in that area as well and no Mosin joy there either. There was a 1943 Tula but the stock had this weird screw just in front of the wrist on the stock and no it wasn’t a arsenal added one so it stayed in pawnville. So after all that I return home and am greeted at the door by a bunch of boxes that had arrived in while I was away. My Hawke scope I purchase from E. Arthur Brown had arrived, it’s now on it’s way to the folks at Teludyne Tech Industries where it will meet up with MosZilla! There was a package from Brian and the good folks at TGR Enterprizes makers of Brass Stacker products, they had shipped one of their Mosin Nagant Scout mounts for review. I like their design very much and it shows a ton a promise in more than just scout applications (Looks like I;m gonna need a new Mosin Nagant for the review!). Also setting there was a box from the good folks at Gunzilla products. Perhaps I’ll use the Gunzilla stuff on the new rifle I buy to test the brass stacker products so I mount a new Hawke scope I’ll have to purchase on there! Hmm multi-tasking at it’s best. Anyway it’s good to be home, looking forward to getting back to normal, well as normal as possible living in CA that is. Anyway that’s the latest so far, I will be posting an update on which scope I decided to go with in my next installment. The scope is on it way but won’t arrive until May 3rd. I found a copy of Battle For Russia at a yard sale for a dollar the other day. When I got the DVD home I was surprised by the footage and the fact that it was produced by our War Department. There is some great shots of Russian Soldiers with their Mosin Nagants I’ve spotted M38 and M91/30 and M44’s in the footage. 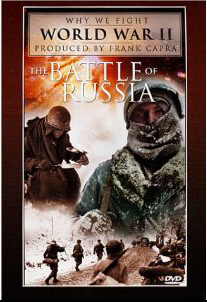 The Battle of Russia is the fifth film of Frank Capra‘s Why We Fight propaganda film series, and the longest film of the series. The film begins with an overview of previous failed attempts to conquer Russia: by the Teutonic Knights in 1242 (footage from Sergei Eisenstein‘s film Alexander Nevsky is used here), by Charles XII of Sweden in 1704 (footage from Vladimir Petrov‘s film Peter the First), by Napoleon I in 1812, and by Germany in World War I. This is an interesting watch to say the least, if you can find a copy for the Mosin scenes alone it’s worth it. Ok as I type this I find myself looking at 3 scopes and they all look awesome. I first looked at the Burris Fullfield ll 3-9x40mm. I already own an older Burris Scope and like their products. I called Burris to see if I could get some more info and possibly a demo scope. They stated they could loan me a demo scope for 90 days which I thought would be great, but I think I would like to keep what I install. The Burris new is a bit out of my price range for the 50mm. I’m also looking for a scope that has the ability for adding sunshades. And it’s unclear to me if this scope can use a 3 inch sunshade. Mueller Scopes were next on the Menu, they came recommended by a gunsmith buddy of mine in Alaska. The Mueller scope intrigued me, I spoke to the staff at Mueller and they recommended the Tac II series. Unfortunately for me this is their high end scope. It comes with a higher end price tag too. But the scope looks to be a really nice piece with good optics. Of Course I really like the Mueller, it does almost everything I want, and has threads for sunshades. Unfortunately, I don’t think the budget can withstand the 300+ price tag. I would love to get my hands on one for a review.. Who knows maybe someone at Mueller will read this and send one out for tests. Now after hours and hours looking at scopes and specs I found the scope that I think might have a bit of an edge over the rest. Hawke Optics is Europe’s number one rifle scope and if the facts back up the hype I can see why. The Hawke Night Eye SR6 is really interesting, the SR6 is a different type lighted reticle. Combine that with their free BRC software that Hawke offers and you’ve really got a powerful tool. Here is what company states about the BRC software and it’s scope. With BRC you can – Choose a preferred preset set-up suitable for your calibre* – Choose a preferred reticle for your shooting requirements – Adjust the presets to either work in metric or standard (imperial). – Change zero distances, muzzle velocity, magnification and Estimated Deterioration value (ED). – Plot your rifles trajectory and find the most suitable aim points. – Carry out advanced range finding calculations. Take the information into the field – The BRC allows you to print trajectory graphs, reticle images and range finding calculations.The BRC will save settings for future reference. Advanced software designed to ensure the shooter is always on target. Its simple to increase your accuracy and get the most out of your SR or MAP reticle. The BRC is quick to download and navigate around. The calculations produce accurate results in the BRC program, that translate into accuracy and precision in the field. OK this is something I’ve never seen offered by any of the other companies. This is a brilliant move by Hawke Optics, in fact the software works with all their scopes. This is what I would call value added for sure. OK so what about the price? Well the 3-12×50 is about 250.00, BUT I have found a source that is a bit cheaper than that. The Hawke will also accept a 3 inch sunshade.. I would love to put all 3 of these through their paces in a head to head competition but I don’t think the funds will allow for that. If Mueller,Hawke or Burris would like to send a demo out I’d be willing to give it a test. I won’t hold my breath though. Well back to more research, I’m leaning in the direction of the Hawke followed closely by the Mueller. I’ll keep you posted. Well I’ve seriously been reconsidering what mount and scope I’m going to use on the MosZilla project. I’ve been thinking I don’t really want to go cheap because that has to potential to undo any of the gains the TTI system is giving me as far as accuracy goes, however I don’t want to break the bank either. I’m looking at the Burris P.E.P.R. tactical mount. I like the design, I just wish they offered it without the TAC rails on top as an option. 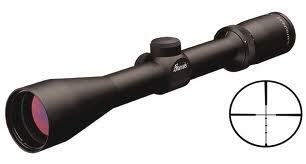 As far as scopes go I’d love to check out the Burris Fullfield II line or a Mueller in a head to head comparison. But I don’t have that type of cash just sitting around, so I’m going to be chatting with both companies to see if I can get some technical advice. I’m trying to stay away from the cheap knock offs if at all possible. Well I’ll keep you posted..
Well today the mount I’ve decided to use for MosZilla has arrived. It’s a cantilevered AR-15 type. 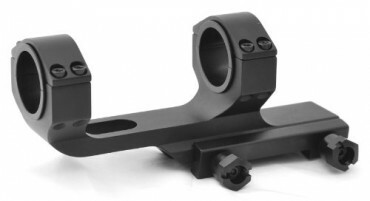 While it’s not the most expensive scope mount for the AR it is a mid range priced mount. When the scope arrived I removed the unit from the box and did a quick inspection. The scope mount feels very solid and looks to be very well made, but until it’s on the rifle with the scope installed and had several 7.62 round fired down range I won’t know for sure. The cantilever on this style mount will allow the scope to be pushed back another 2.5 inches and with the scope I’m using it has a 3.5 inch eye relief that should be just about right. The Max Shepard bolt I added to the gun will have no problem clearing this setup. I purchased a Simmons ProSport 3-9×40 to use with this mount, I have a Simmons spotting scope that is absolutely great so I thought I’d try the Simmons ProSport scope for this project. The scope is on it’s way so once it gets here both will be boxed up and shipped to TTI to be mated with MosZilla. 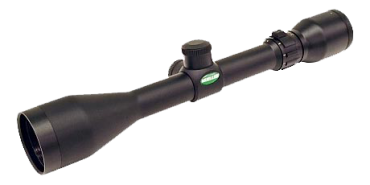 I may end up buying a BSA 32×44 fixed scope for Moszilla as well, there are advantages in low light with fixed scopes and the BSA has been the bench rest shooters secret weapon for years. Both scopes have great reviews so it will come down to how they actually work on the rifle. OK maybe not that dramatic or historic, but I was happy to receive an email from Mark Roth at Teludyne Tech Industries today informing me that MosZilla had landed in South Carolina safe and sound! Thanks to FedEx it got there a day ahead of schedule. Now with my project rifle in TTIs capable hands I can’t wait to see how the rifle shoots on it’s return. I will keep you updated as things progress. I’m currently investigating various scope mount systems, none have quite looked correct but I know I’ll find one. Also looking at available scopes to install on the rifle that will do this modification justice. No not me, but MosZilla is leaving for Teludyne Techs facility today! I’ll miss the ol girl while she’s gone, but just wait until it gets back. She is about to get fitted with the Teludyne Techs Straight Jacket System. In fact not only the Straight Jacket but they are installing their TTI muzzle break as well! 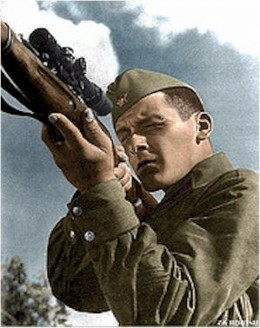 How could you not love a Mosin that will shoot sub MOA with reduced recoil! Well since I can’t go to South Carolina to see the sites and visit TTI this time, I’ll be planning several other mods for the rifle while MosZilla gets a barrel make over. So what else does MosZilla need? Well I’m trying to find a scope mount that will put the scope at the proper eye relief, I think I already have a mount in mind but, I will need to verify that once the rifle gets back. Also looking for a good scope candidate for the rifle as well, Burris, Bushnell, Nikon I’m just not sure. 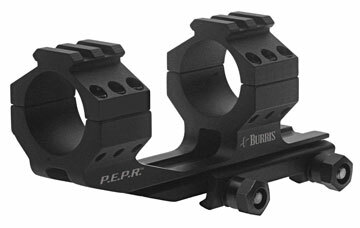 I like some of the Burris range finder models but I’m not sure my mount will work with that scope and it may be out of my price range at the moment. I also have a new adjustable trigger I going to install on MosZilla, I’m also looking at modding the trigger pin for even better results. Well that’s it for now, I leave MosZilla to the skilled hands of the guys at TTI. So in the mean time maybe I’ll go back to Big 5 and see if there is any other cool 99.00 rifles to buy. 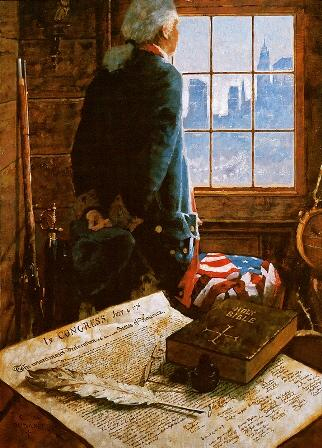 “They that can give up liberty to obtain a little temporary safety deserve neither liberty nor safety.” -Benjamin Franklin, Historical Review of Pennsylvania..